The complexity of IT in the contemporary world is putting an upward pressure on organizations to demand for outsourcing of help desk services. The competitive pressures of adopting the cloud computing, analytics software, and mobile technology are among few of the most valued IT strategies, which means that organizations are spending a great proportion of their IT budgets on adapting to the frequently changing IT landscape. As a result of these pressures, outsourcing an organization’s everyday support and administrative tasks seems the likely recourse to ensure productivity and uncompromised efficiency. IT outsourcing is not something new to the corporate world. In fact, it is been used from the lower end of the outsourcing spectrum by assigning an outside service provider to run an application to the higher end of the spectrum of turning entire networks and datacenters to third parties. Help desks are growing drastically in importance, owing to the scale of support it provides to employees when encountering IT problems and challenges. 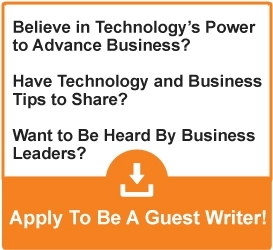 According to a survey of over 800 technical support professionals from the industry group HDI, more than 60 percent of respondents highlighted that the number of ticket volumes in their organizations had increased, reflecting a demand for IT staff hiring and use. A lot of the help desks in organizations are found using age-old tools and systems that are not capable of addressing many of the complex situations that employees using IT services encounter. As a matter of fact, the tools and programs cannot be run on tablets or smartphones, which is a major requirement considering the growing impact of the BYOD policy, and cannot generate reports on the time taken to address issues or the average time of calls per day. What is most troubling is that corporate help desks evolve and improve very slow. 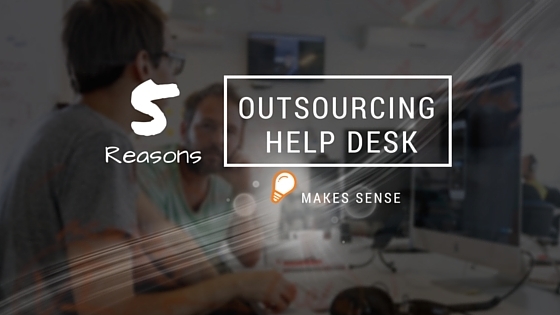 This is why outsourcing helpdesks to a dedicated company will prove to be far more useful. They are more likely to have the latest technology and tools to complement their support services and ensure it is efficient and productive. Assigning a third-party company to manage IT support services on your behalf may be perceived as an additional expense for many organizations. However, the fact of the matter is that it can prove to be very cost-effective. Outsourcing help desks can allow organizations to significantly cut down their costs of hiring additional labor and renting more office space. More importantly, third-party helpdesks are more likely to be cost-effective if contracts are made over the long-term. Considering how 50 percent of the IT value comes from help desks, making long-term contracts may not seem a poor decision. On the whole, firms can secure the use of efficient IT support services at substantially low costs. Therefore, outsourcing help desks will be highly advantageous for organizations to ensure that their IT support services are rapid yet robust, helping them to speed up critical business processes. Firms using third-party help desk support services can also benefit from focusing on their strategic initiatives. SMBs, which have less exposure and lack a well-trained team of competent workforce, can quickly acquire specialist skills through outsourcing their help desk tasks. The help desk company is more likely to be adept in understanding the requirements of IT support services and can save the organizations a lot of unnecessary frustrations when dealing with IT challenges and troubleshooting issues. Businesses can suffer a lot of delays when employees have to shoulder tap their coworkers to help them get through their work. As a result, organizations can face failure in meeting critical deadlines and lose their competitive advantage. This is why having an independent IT helpdesk that provides 24/7 support to employees is the best way of ensuring employee productivity is not affected and business processes run smoothly and efficiently.